There is nothing better than an office full of hard working, happy people! There is a simple way to keep everyone in your office in a good mood – flowers! It’s said that exposure to flowers can reduce anxiety and negativity, and even improve your memory. 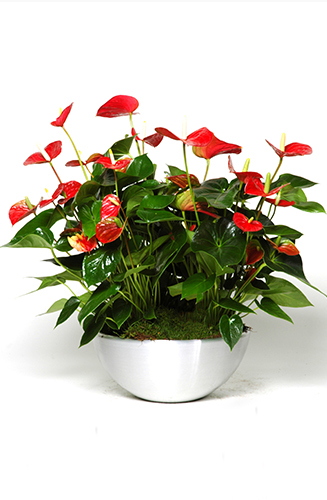 Jungle World is a company who specialises in corporate flowers in London, providing office plants and office flowers to over 600 customers each week. We believe that filling your office with beautiful looking and attractive smelling flowers will help boost productivity and improve employees’ mood. Not sold yet? Read on for 4 reasons why you should be filling your office with flowers! 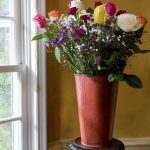 If you’re like us and you like to switch the decor of your office up often, then flowers and plants are a wonderful option. They are a cost effective way of making a bold change in your work place that won’t involve lots of work or take up any time. A huge bouquet of colourful flowers can make an otherwise neutral room look bright and cheerful. They can also create a welcoming entrance-way, or make a stunning centrepiece for your meeting room. Flowers look and smell amazing, but that’s not all they do! Studies and scientific evidence have proven that having flowers in the workplace can increase our ability to work better. This is for a number of reasons, for both men and women. 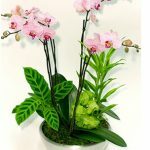 A study that was carried out in America over an eight month period, found that both men and women performed better in an environment that was decorated with fresh plants and flowers. This was in terms of innovative thinking, generating good ideas and problem solving. It found that men were able to generate around 30% more ideas in an office with flowers than when in an office that was sparse and dull. Who doesn’t like the smell of fresh flowers on a dull Monday morning? Flowers in the office are guaranteed to put a smile on everyone’s face. 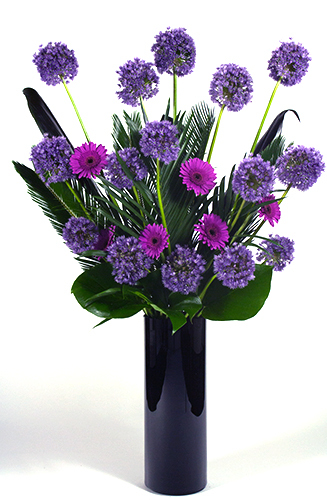 Flowers are brilliant for perking everyone up, including visitors attending meetings at your office. Looking at bright, colourful flowers instead of drab colourless office walls is to start everyone’s day off in a good way – therefore creating better work. A happy workforce is a productive workforce! Various studies have shown that flowers can improve a person’s memory and make them concentrate a lot better in the workplace. People believe that the presence and influence of nature can help people improve memory and their attention span by up to twenty percent. They increase a person’s ability to concentrate on the task at hand, and complete it to a higher quality. Brilliant! Studies show that the effect of nature in the workplace can stimulate the sense and the mind, therefore improving mental cognition and performance. As you can see – adding flowers and plants to your workplace has so many advantages, so what are you waiting for? If you’re looking for some fresh, bright and beautiful flowers to decorate your work environment – we have you covered! Here at Jungle World, we are passionate about flowers. We have a brilliant selection of workplace flowers that we promise will make your office look and smell great, as well as boosting your employee’s moods and productivity. If you would like to talk about placing an order, or you have any questions, please do not hesitate to contact us. You can give us a call on 0208 968 8190 and a member of our friendly team will be happy to give you a call.